Blue Mbombo whose full name is Blue Thandi Mbombo is a South African model, reality TV star and actress born in 1990. Blue was crowned the Mzans Sexiest Female Celebrity 2016. She is also a former Big Brother star and stars on Diski Divas, Mzansi Magic’s controversial reality show. She was born in the year 1990. She is 28 years old as of 2018. 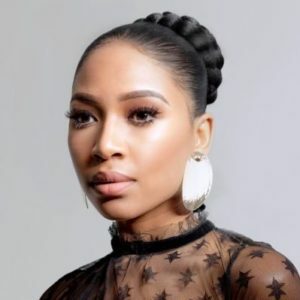 She has a twin sister who is known as Brown Mbombo. Her father is half- Portuguese and that is the reason she and her twin sister have Portuguese names. Her Portuguese name is Azul which means Blue in English while that of her sister is Acastanho which means Brown. Blue was formerly dating rapper K2. They met and fell in love at the Big Brother but later broke up in 2016 and it was therefore confirmed by Blue through a Facebook post.